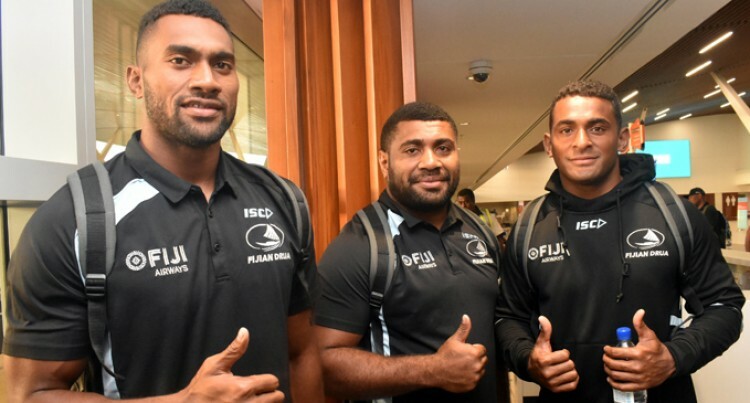 Jona Sawailau is most likely to join Cyril Reece in the new centre pairing for the Fiji Airways Fijian Drua against Queensland Country in the round three of the National Rugby Championship this Saturday. This was after centres Poasa Waqanibau and Enele Malele were ruled out due to injuries. Avete Daveta returns to wing position to partner with competition top tryscorer Levani Kurumudu. The Naua, Namuka, Macuata native did made his debut in the 66-5 destruction of Brisbane City in Lautoka last Saturday. “We have a big game on Saturday and we need to win both games to put us in good stead for a home semifinal. Sawailau was born in Campbelltown, Sydney, Australia before he moved back to Fiji where he attended Drasa Secondary School, Ratu Kadavulevu School and Ba Methodist High School. He has a sister and four brothers with the youngest, Edward Sawailau playing for Top 14 France club Perpignan with Eroni Sau who made his mark for the Drua last season. His uncle is Joe Sawailau, a former manager of the Fijian national 7s team. He added the team’s moral is good and they are looking forward to their first game away from home. “Australian teams know how we play now after the first two rounds and will aim to shut us out. The side departed for Brisbane.